Mike Wolfe, Frank Fritz, and their team are excited to return to Illinois! 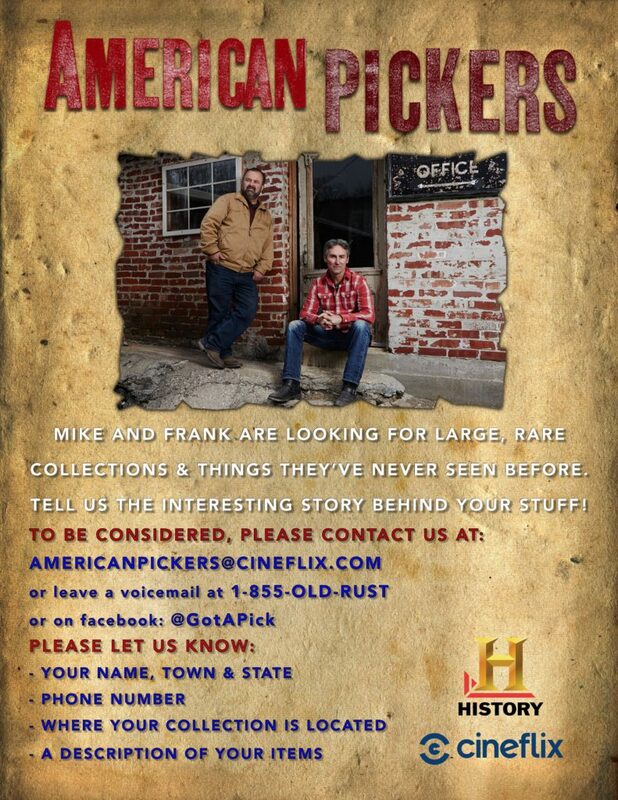 They plan to film episodes of the hit series American Pickers throughout your area from May 27th-June 9th. AMERICAN PICKERS is a documentary series that explores the fascinating world of antique “picking” on History. The hit show follows Mike and Frank, two of the most skilled pickers in the business, as they hunt for America’s most valuable antiques. They are always excited to find sizeable, unique collections and learn the interesting stories behind them. As they hit the back roads from coast to coast, Mike and Frank are on a mission to recycle and rescue forgotten relics. Along the way, the Pickers want to meet characters with remarkable and exceptional items. The pair hopes to give historically significant objects a new lease on life, while learning a thing or two about America’s past along the way. The Greater Belleville Chamber of Commerce is a membership organization that supports and advances business and community interests, as well as the quality of life in Belleville and surrounding communities. To advertise on the Chamber website please use the contact below.